Patchouli has long been used in perfumes, incense and scents of all kinds. It originally comes from the tropical regions of Asia, but it is now cultivated as widely as the Philippines, South America and the Caribbean. The patchouli essential oil that we use has been carefully steam-extracted from dried leaves in the traditional manner. By contrast, the woody cedar and birch notes are warm, rich and dark, and from a beautiful and sophisticated counterpoint to the more jovial patchouli. The slightly bitter, almost briny scent of the oakmoss, which is actually derived from a lichen that grows on European oak trees, forms the base note that rounds the whole off perfectly, without overpowering it. 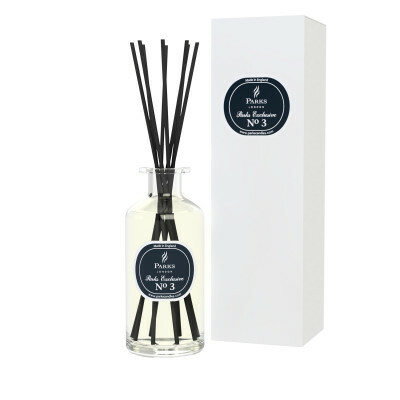 This is a complete reed diffuser kit and comes with all that you need to distribute this unique perfume blend throughout a typical home or office for up to 14 weeks of continual use. 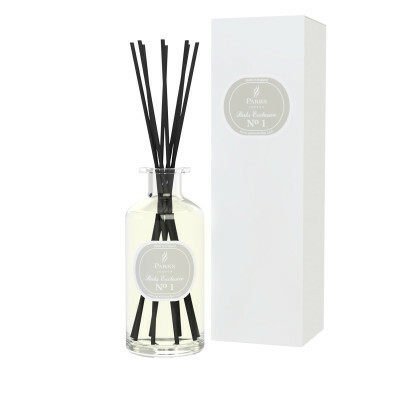 You’ll find a decorative scent jar inside the elegant heavy card cylinder, as well as an open-topped diffuser lid and a set of all-natural reed diffuser wands. Simply place the wands in the scent container and let them do their work. They will reinvigorate your personal environment for the next three months or more!